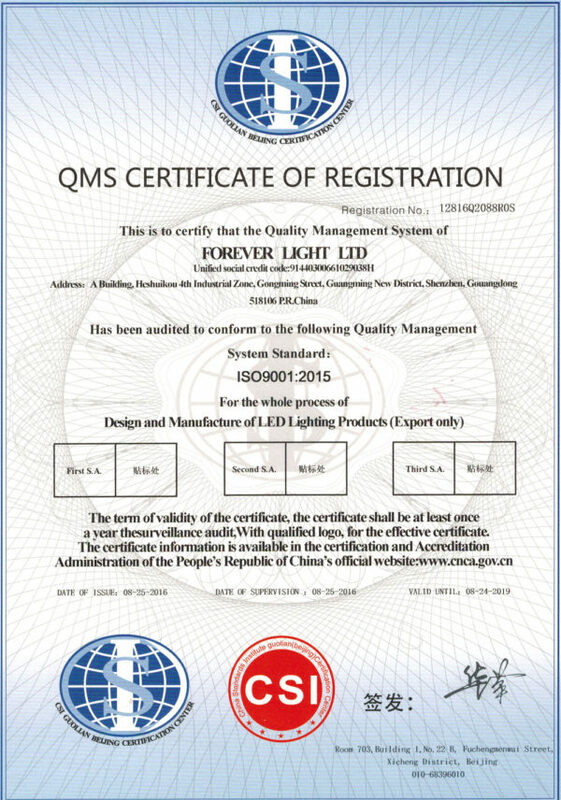 Forever Light Ltd. Certified by ISO9000:2015 system in August 2016 . ﻿ Home > Company News > Forever Light Ltd. Certified by ISO9000:2015 system in August 2016 . 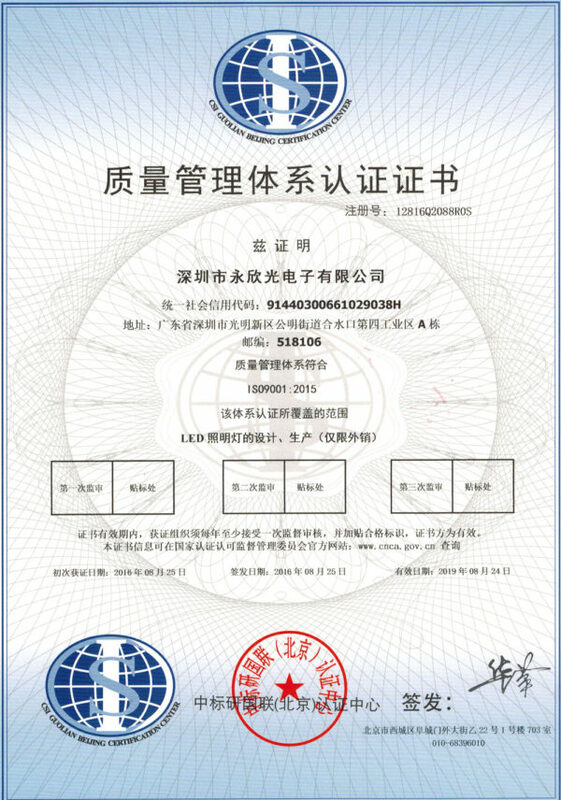 In order to optimize our quality control system , we have been preparing for around 1 year and successfully get the certificate of ISO9000:2015 based on old ISO9001:2008 edition . 2015 Edition requests more strict and reasonable quality control based on 2008 edition .